Earthworm Jim Creator Says "Hey Wait, That's Not What I Said"
In our early discussions about the game, we had tentatively brainstormed ideas for the Wii, but that is NOT a confirmation like the guy posted. We haven't presented the idea to Nintendo and all of what the guy posted in the article could actually jeopardize a real EWJ game coming out on the Wii. Just goes to show that you can't always trust what a guy says he heard from another guy. Here's hoping this story didn't do too much damage to the chances of everyone's favourite power suit-wearing earthworm appearing on Wii in the near future. That's pretty odd. 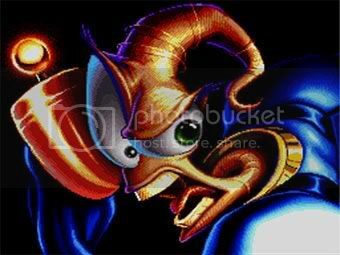 He did say so himself, and who wouldn't want an Earthwork Jim 4? I was kinda hoping for a sequel. 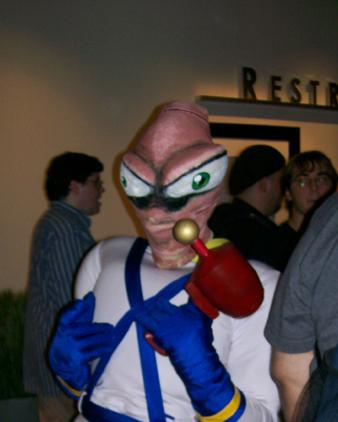 A new Earthworm Jim is never happening. It's time to let the hope die and just enjoy the many shoddy ports of the first two games we'll be subjected to for the next decade just like we did for the past decade. I wish they would make a game of some of his comics. Gear would be AWESOME. Bummer, here's hoping it comes out eventually. Oh well. The media can mix up stuff then and again. Color me confused with the way Color and Armor is spell in our native land. Interesting. Hopefully we'll see the guy on our little white machine. Tut tut NintendoLife, reporting false facts!